2019 is the year for RV’s. Manufacturers have stepped-up and created some incredible rigs for RV enthusiasts to enjoy the open road in. From wheelchair-friendly motorhomes to handcrafted interiors and innovative technology, there is truly something for every RVer. 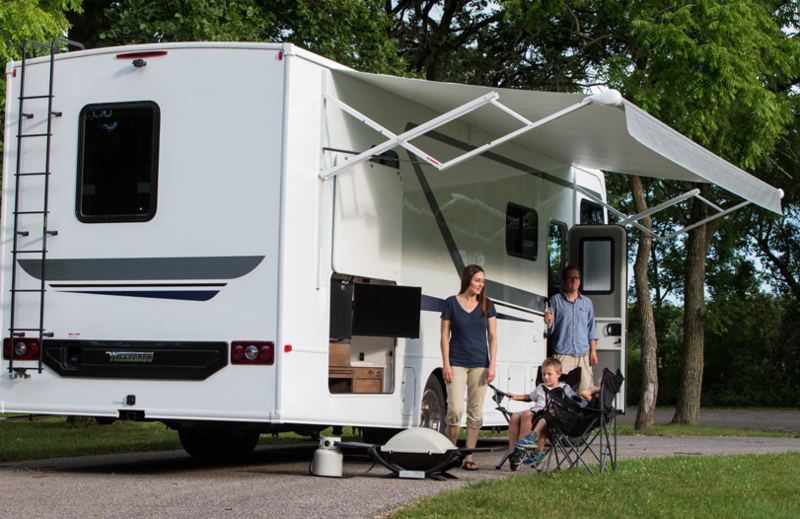 Check out the new Class A, B and C RV models you should keep your eye on this year. We promise, they do not disappoint. 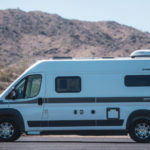 In early 2019 Winnebago launched their new wheelchair-friendly RV collection. Check out the models below! Intent 30R: This re-imagined Class A affords you the luxury lifestyle with a budget friendly price. Adventurer 30T: Class A RV that offers ample storage, hydraulic ABS brakes, stainless steel wheel liners, Ford 6.8 Triton V10 SEFI engine and so much more. 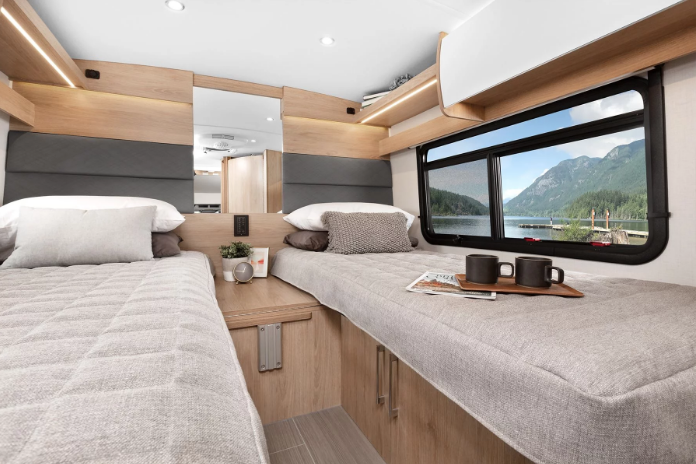 Forza 34T: The enhanced 34T floorplan features two slide outs, overhead bunk option, king or queen bed option and is an affordable diesel-pusher. Allow yourself the ultimate luxury this 2019 with this updated model. Open Road Allegro: Tiffin is known for their luxury and elegance, and this new Class A is no exception. 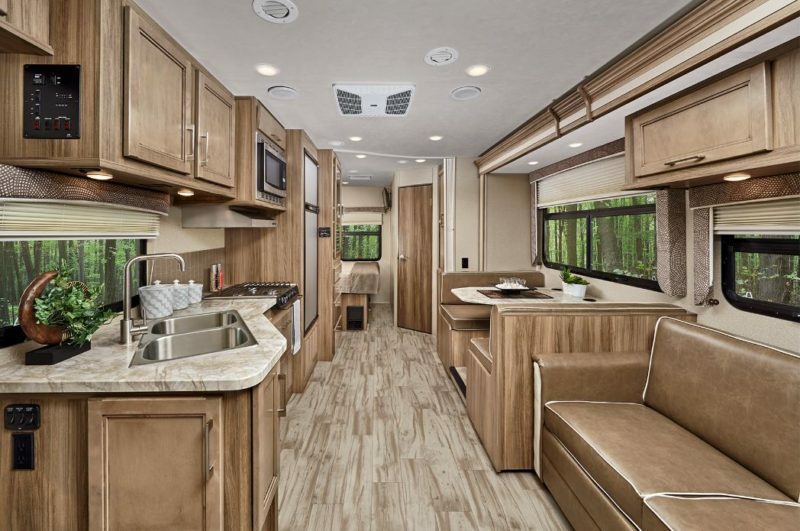 With four floor-plans, LED lighting, Stain-resistant textiles and half bath options, the Open Road Allegro has it all. Have you been dying for an interior garage for your home on wheels? Look no further. 2019 Wonder RTB: This compact and luxury Class C is a dream. The new model features an exterior garage, rear twin beds, three-piece dry bathroom and the largest galley offered by Leisure Travel Vans. 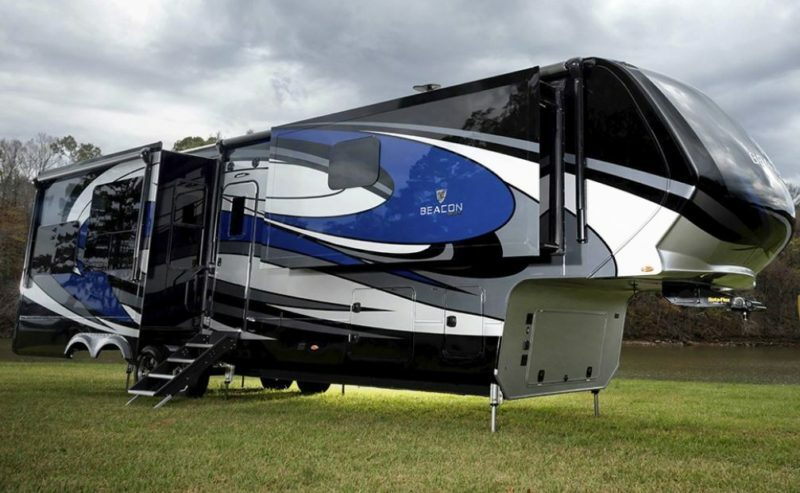 Enjoy luxury at it’s finest with Vanleigh RV’s 2019 Beacon. 2019 Beacon: Say hello to the most deluxe 5th wheel you’ve ever seen. The Beacon offers six different floor plans ranging from 42′ to 34′ with spacious kitchen and living area options as well as upgraded home entertainment features, and state of the art heating and cooling features. Welcome to the good life! Thor has your RV lifestyle needs covered with their 2019 model. 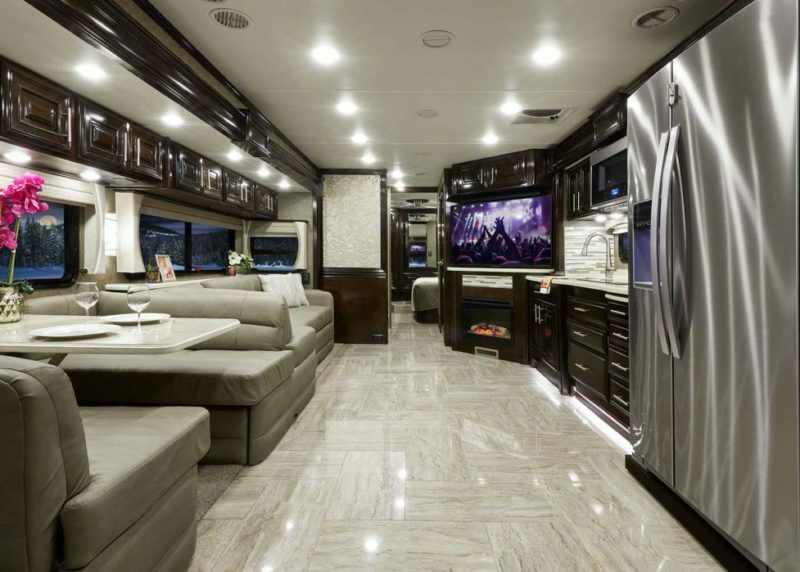 2019 Venetian: This Class A diesel motorhome is simply sophisticated. Neither style or technology has been compromised on this talk of the town 2019 RV. Choose from four different floor plans and motor coach sizes. If you don’t want to compromise beauty in a compact space, then this Class C RV is for you. 2019 Odyssey: The Odyssey is a unique Class C motorhome. With amenities and floorplans that match that of luxury Class C’s, all while staying around 30 feet in length, this RV is equipped. With frameless windows, one-piece fiberglass room and premium ride and handling gear, nothing is missing from this model. The interiors are stunning and the Odyssey offers nine different floor plans. In the market for a 2019 RV but not sure if a Class A, B or C model is right for you? Check out our recent post, Which RV is Right for You to learn everything you need about the different RV types. Hey Buddy!, I found this information for you: "The New RV Models You Should Expect to See This Year". 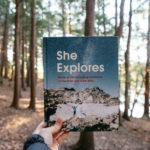 Here is the website link: https://experiencelife.lamesarv.com/2019/03/the-new-rv-models-you-should-expect-to-see-this-year/. Thank you.